Trees Atlanta is expanding its youth and adult education programming designed to provide opportunities for everyone to learn proper techniques for planting and caring for trees while also becoming better stewards for the urban forest. Each program stands alone, but all serve a common goal: giving members of our community the knowledge and tools necessary to successfully restore and maintain the precious natural resources that are essential to our quality of life. Trees Atlanta is, of course, eager to share the love of trees with the next generation, and is excited to expand the 2015 Junior TreeKeepers Summer Camp at the new Trees Atlanta TreeHouse! The Junior TreeKeepers summer camp provides five (5) days each session of interactive and hands-on activities in environmental science, as well as field trips to local attractions such as Fernbank Forest, a 200-year-old forest, the Atlanta BeltLine and Atlanta Botanical Garden! Each week-long session costs $250, and scholarships are available. 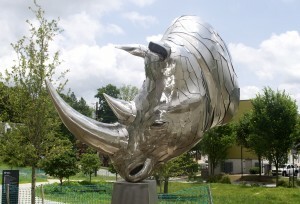 Enrollment is open and middle and elementary school students are encouraged to apply now at www.treesatlanta.org. Trees Atlanta needs help sharing its story and is seeking the first group of energetic public speakers to complete training to lead presentations in the community about Trees Atlanta. Volunteers are needed to present already prepared presentations approximately 30-45 minutes in length and answer questions from the audience. Preliminary interviews will take place prior to the start of training. Training will be held over two 3-hour sessions. It will include classroom instruction, review of presentation, practice, and presentation critiques. 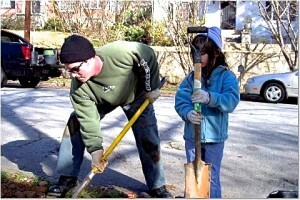 Visit www.treesatlanta.org for training information. Do you have an upcoming meeting or event where you’d like to host a presenter to learn more about Trees Atlanta? 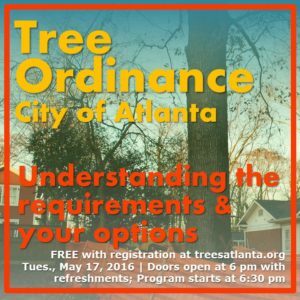 Contact kateb@treesatlanta.org to process your request. 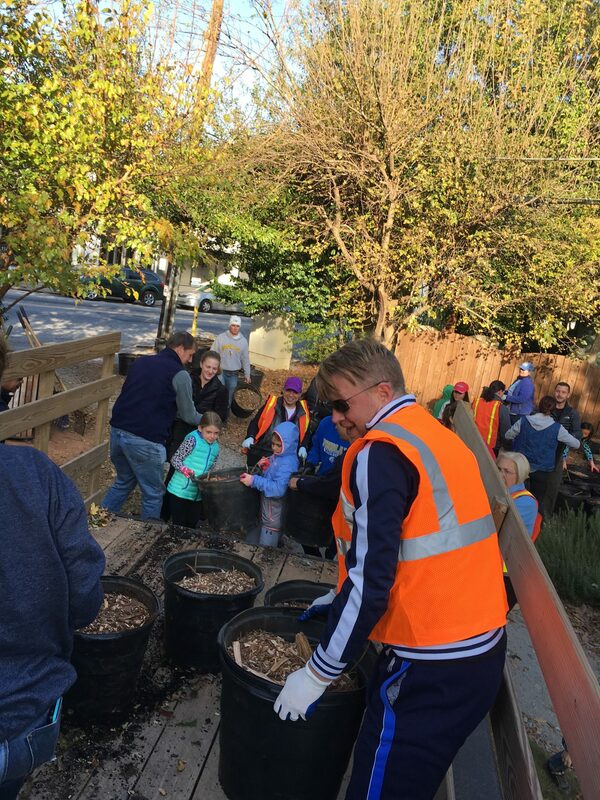 Alliance for Community Trees (ACTrees), CSX, and Boys & Girls Clubs of America are partnering with Trees Atlanta to prepare the next generation of environmental stewards. Trees Atlanta is working with teens from George Washington Carver Boys & Girls Club on programming relating to Atlanta’s urban forest that focuses on three key themes: stewardship, leadership, and advocacy. 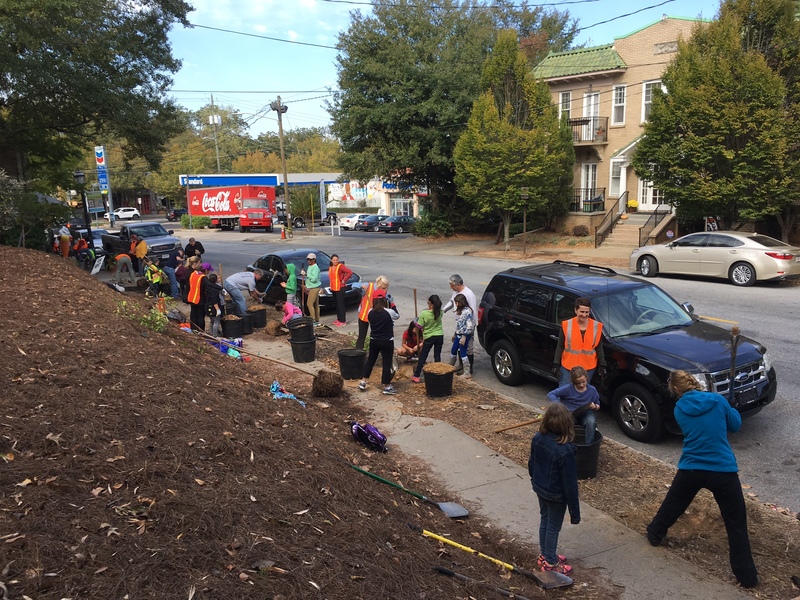 Youth Tree Steward environmental activities include removing invasive species from the Atlanta BeltLine Arboretum and cleaning up litter around Fred Armon Toomer Elementary. At the end of seven sessions, the students will be empowered to lead local advocacy efforts that build support and awareness of the benefits trees provide to their communities. This year, Trees Atlanta’s Annual Tree Sale—its fifteenth!—will be held at the nearby Carter Center. This new venue offers more space for the 1,500+ plants available for sale, as well as much more available parking. The Tree Sale & Jamboree, held rain or shine, will offer trees, shrubs, perennials, and tree-safe vines for sale. It’s the best selection in town, including over 200 native and exotic species. 15th Annual Tree Sale & Jamboree! With another successful planting season in the rear view mirror, Trees Atlanta is enthusiastic to begin the new planting season in September. To celebrate, Trees Atlanta has announced details for two kick-off fundraisers. Trees Atlanta is hosting “Tailgate for Trees”, on Friday, September 12, 2014 at 7:00 PM at the Trees Atlanta Kendeda Center, 225 Chester Ave SE, Atlanta, GA, 30316. At the event, you will find your favorite tailgating activities, catering by Ibiza Bites, and a spirited silent auction featuring rare and unusual plants and trees. The auction will also feature incredible woodcrafts and art pieces by your favorite local artists. Tickets are $50 for individuals. The nationally known non-profit is relocating The 15th Annual Trees Atlanta Tree Sale & Jamboree to a new location: the Freedom Farmers’ Market at The Carter Center, located at 453 Freedom Parkway NE, Atlanta, GA 30307. 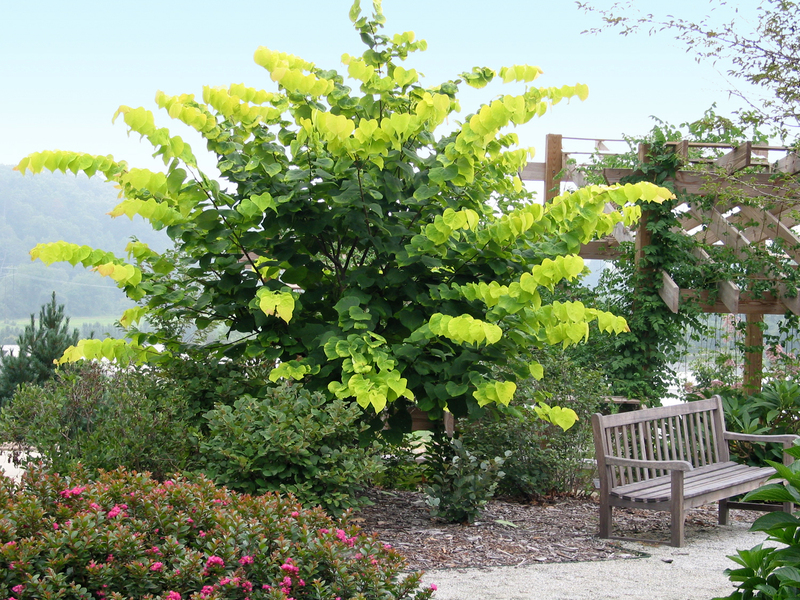 Each October, Trees Atlanta offers more than 1,500 native and exotic plants – including 200 species of trees, shrubs, native perennials, and tree-safe vines – for purchase by the public. The fundraiser will take place, rain or shine, on Saturday, October 4th, 2014 from 8 AM to 2 PM. Trees Atlanta donors of $500 or more are invited to attend a preview shopping night the evening before the sale. 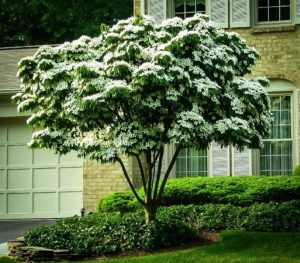 If a shopper wants a big tree but has a small car, Trees Atlanta can provide delivery, as well as planting assistance, within a limited area for a small fee. All proceeds from both events benefit Trees Atlanta’s planting and education programs, helping our community plant approximately 6,000 trees and seedlings each year and provided educational sessions attended by more than 8,000 adults and children all around metro Atlanta. All of this was made possible by the support of people like you. 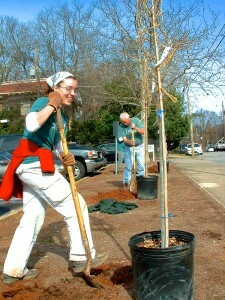 For more details visit www.treesatlanta.org. Registration is now open for Trees Atlanta’s 2014 TreeKeeper Program. Trees Atlanta education coordinator Kate Baltzell says this is the 8th year for the TreeKeepers certification program and it’s sure to be the best program ever. The educational program includes seven different sessions and covers everything you’ve wanted to learn about trees: identification, proper pruning, disease/pest identification, and ongoing care. Kate says the program’s enormously popular and will likely sell out soon. Click here to view a flyer with more information, or click here to register. 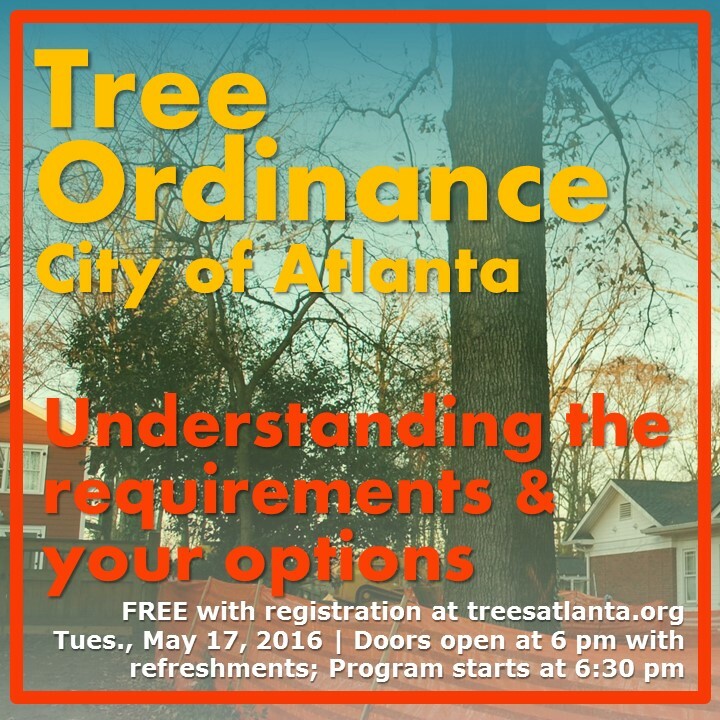 Also, Trees Atlanta will host a Fruit and Nut Tree Panel Discussion from 6:30 – 8:30 pm on Wednesday August 6. This panel discussion is free and open to the public and will be an excellent opportunity to learn about food bearing trees fit for growing in our part of the country. Click here to view a flyer with more information, or click here to register. Trees Atlanta and the Atlanta Bicycle Coalition presents a “Tree Tour on Bikes”, led by ISA Certified Arborist Linc Weis and experienced ride leaders from ABC. The tour will take place on Sunday April 27 from 9:30 AM to 12:00 PM. 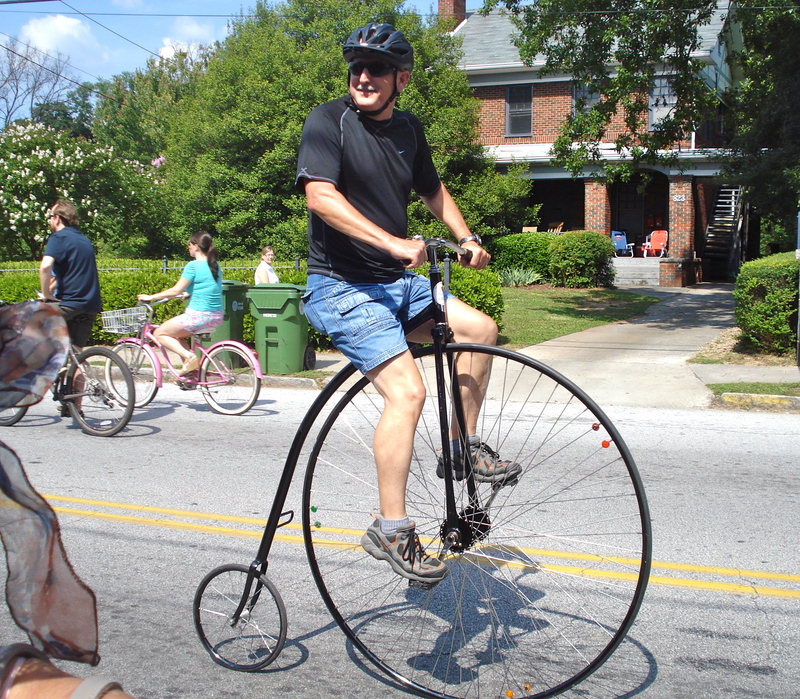 This family-oriented ride visits the Virginia-Highland Neighborhood Arboretum along quiet neighborhood streets as well as a stretch of the Eastside Trail of the Atlanta BeltLine while showcasing diverse ornamental and flowering trees. This easy ride has options for 2 or 4 miles of touring and can be managed by most elementary school children. Younger children and cyclists who have yet to develop street skills are welcome as passengers in bike seats and trailers driven by adults. Frequent stops and interesting stories accommodate all ages. Feel free to bring your own refreshments and refillable water bottle for a water stop at John Howell Park. Also, join the group for an optional lunch stop afterward at a favorite Virginia-Highland restaurant. Meet at John Howell Park at 9:30 AM for a 10:00 AM departure. Arriving at 9:30 will allow organizers to sign you in, check equipment and brief riders on the route and safety rules. Whereas light mechanical problems can be handled by our ride leaders, our tour will be more pleasant if your bike arrives in good working order. Participants are expected to wear helmets. 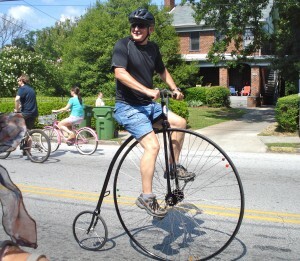 You are encouraged to bring a bike with gears as Atlanta can be hilly at times. Participants are asked to pre-register for the event so organizers know how many riders to expect. 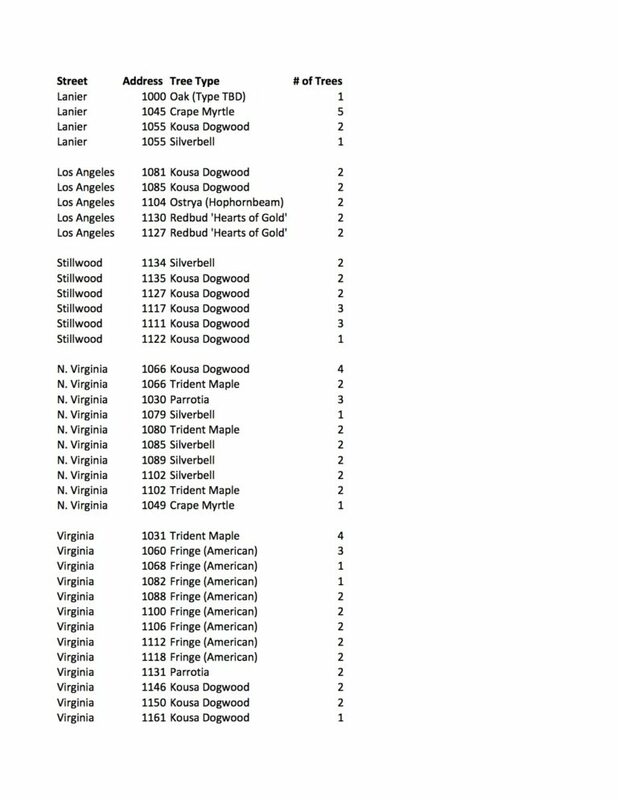 Register at: http://treesatlanta.givezooks.com/events/tour-de-trees-biking-tree-tour-of-virginia-highland. 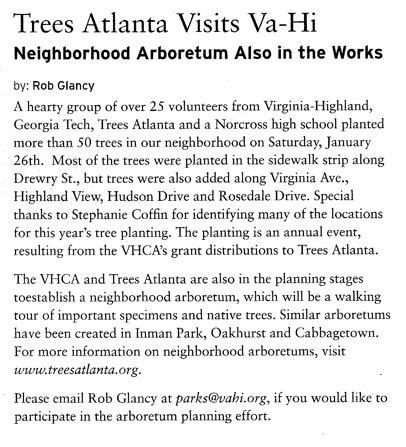 Special thanks to the City of Atlanta for help supporting this and other Trees Atlanta Tree Walks! 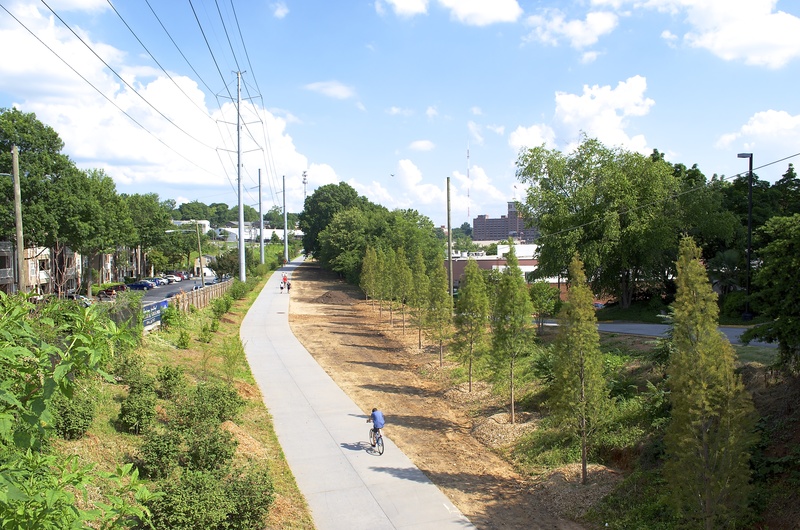 As you may know Trees Atlanta is very involved in the Atlanta BeltLine and began planting the Atlanta BeltLine Arboretum with trees, shrubs, and native grasses in fall of 2012. We will continue to plant and maintain the horticulture collection as well as incorporate signage along the Eastside Trail, but the best way to communicate all of these exciting additions is through knowledgeable volunteers leading Walking Tours, or Atlanta BeltLine Arboretum Docents. We are actively recruiting for the third class of Docents to begin training on Thursday mornings in April and May. During training, experts cover topics ranging from Atlanta BeltLine history & design to Arboretum horticulture collections. Ideal applicants have experience with plants, an eagerness to learn, and the energy to lead tours/projects in the Atlanta BeltLine Arboretum. If you or anyone you know anyone who is interested in this great opportunity, contact me at kateb@treesatlanta.org for more information. Seats are limited so if you’re interested, better to apply sooner rather than later. You can apply here: https://docs.google.com/spreadsheet/viewform?formkey=dEY5RG02U0lIMllEY2pOejhSaEJhOGc6MQ#gid=0. Editor’s Note: VaHi resident Kay Stephenson and I went through this training session last year and it’s incredible. The course is packed with lots of great information about the BeltLine, the Arboretum, history of the area surrounding the Eastside Trail, etc. Class members bring a tremendous diversity of backgrounds to the table and the exchange of information between attendees is another plus to the course. Kay is actively giving Arboretum tours – I haven’t been quite so dilligent in completing my studies yet – so if you know her and want to learn more, I’m sure she’d be glad to talk with you about it. I’d also be glad to answer any questions you may have about the course. 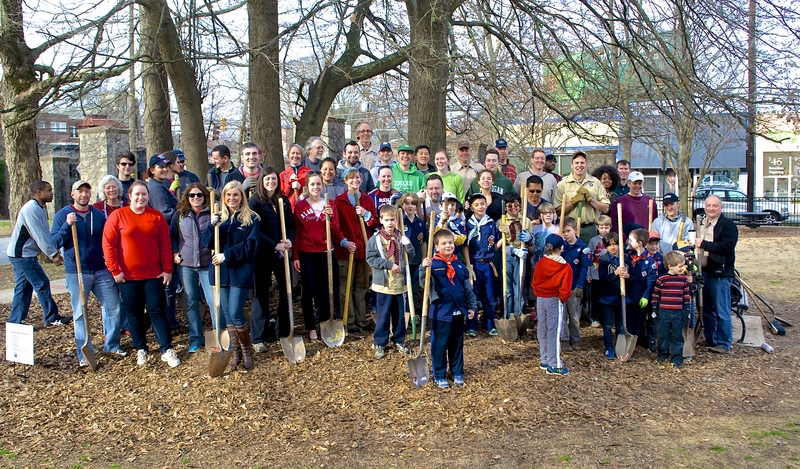 Many thanks to the Cub Scouts of UMC Pack #17 (and their accompanying moms, dads, brothers and sisters) and all the other volunteers who showed up to plant 80 new trees this past Saturday in VaHi. If you were out and about in the ‘hood late morning you saw them along Briarcliff Pl., Greenwood Ave. and throughout Atkins Park planting carefully selected trees that we will enjoy for years to come. This was Trees Atlanta’s annual major VaHi planting event, and it was accompanied by a parallel planting in Morningside (also supported by Pack #17). Special thanks to Alex and the team from Trees Atlanta for providing the trees and expertise. Longtime VaHi resident Stephanie Coffin was very involved in the planning of this event (as she always is) but was out of town and unfortunately couldn’t attend the planting. Click here to view an album of photos from the event. 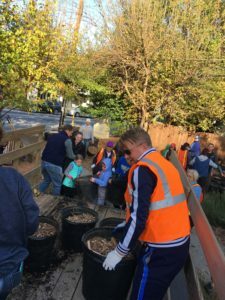 Trees Atlanta and VaHi Volunteers: You Guys Rock!! Editor’s Note: A headline for this article in our Voice e-newsletter listed a February 15 date for this event. That date is incorrect. The correct date is February 22. We apologize for the confusion. Trees Atlanta will conduct a major planting event in Virginia-Highland later this month, and you’re invited to help. Anyone who wants to assist with the planting should RSVP by clicking here. Volunteers will meet at New Highland Park (corner of N. Highland Ave. and St. Charles Pl.) at 9 AM Saturday February 22. Please wear work clothes and bring work gloves. All other supplies will be provided. This planting event will focus primarily on the following VaHi streets: St. Louis Pl., St. Charles Pl., St. Augustine Pl., Briarcliff Pl. and Greenwood Ave. 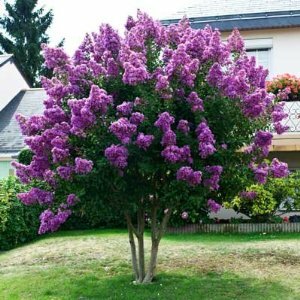 Most of the trees to be planted will be silver maples (acer saccharinum), trident maples (acer buergerianum) or crape myrtles (lagerstroemia indica). VaHi resident Stefanie Coffin worked with Trees Atlanta to organize the planting, as she has done several times previously. “These annual plantings focus on areas of the neighborhood with high density and traffic to help mitigate the impact of pollution from autos,” Coffin says. Coffin points out that funding for the annual planting comes from the yearly grant given to Trees Atlanta by the VHCA and a generous contribution from UMC Cub Scout Pack #17, as well as recompense funds paid to the city by anyone found to have taken down or destroyed a tree illegally (these latter funds flow through the Tree Conservation Commission). 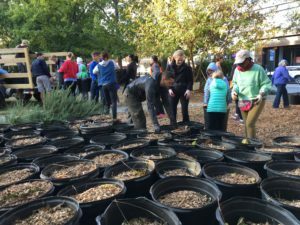 The planting event is part of Trees Atlanta’s NeighborWoods program, in which the non-profit partners with neighborhoods across metro Atlanta to plant native species, raise awareness about the benefit of trees, and create a core group of tree advocates. 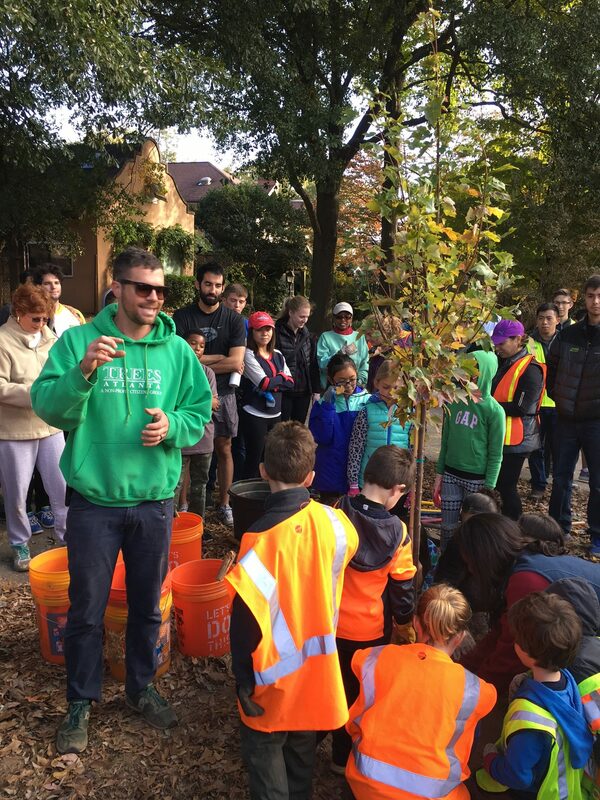 NeighborWoods is a collaborative effort to replenish and sustain the tree canopy, while also educating the community on tree care and management. 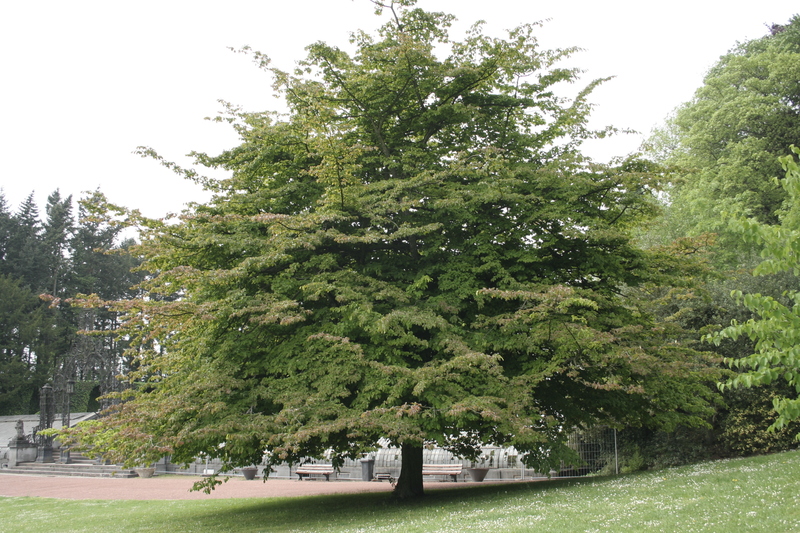 Click here to view a complete list of what kind of trees will be planted where. 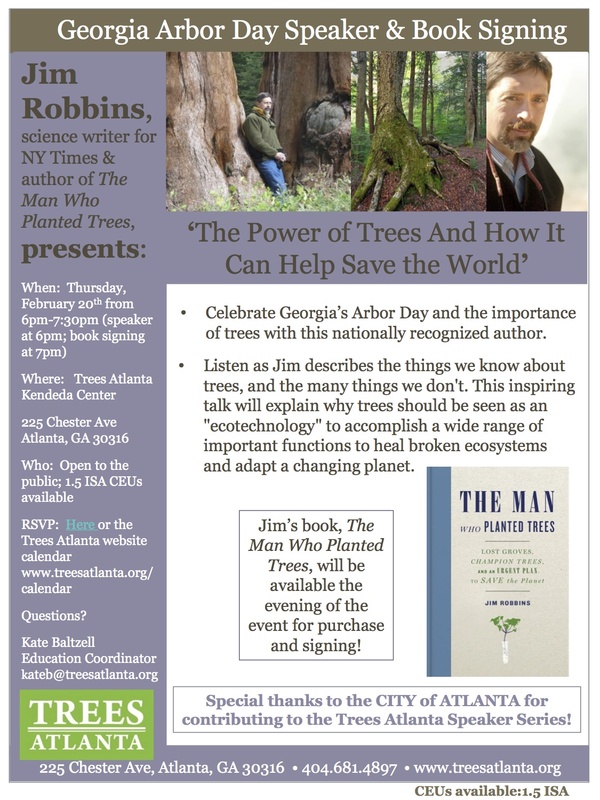 Please join us on Thursday, February 20 at 6 PM as we welcome Jim Robbins, a science writer for the New York Times and author of the acclaimed The Man Who Planted Trees for his talk entitled: The Power of Trees And How It Can Help Save the World. Jim is the first Trees Atlanta Georgia Arbor Day Speaker, which has been made possible thanks to the City of Atlanta. You will be able to purchase Jim’s book at the event and have him sign it! 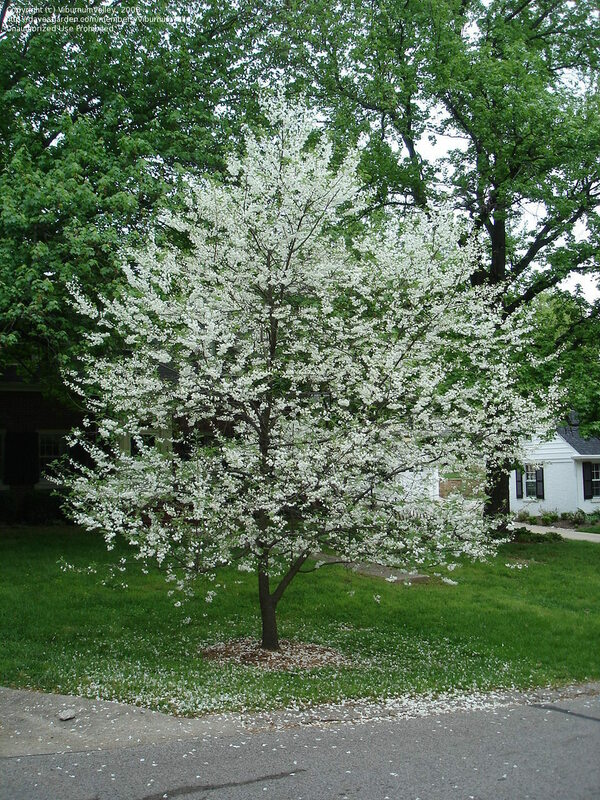 Looking for native trees and plants to add beauty and shade to your yard? 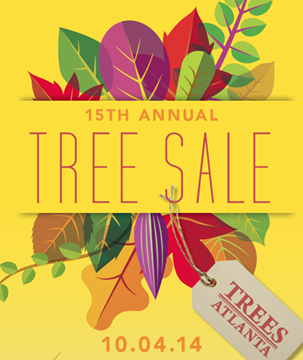 Well, you won’t find a wider selection or better prices than at the 14th Annual Trees Atlanta Tree Sale. It’s the best tree sale in the southeast, featuring over 1,000 plants—including more than 200 species of trees, shrubs, native perennials, and tree-friendly vines. 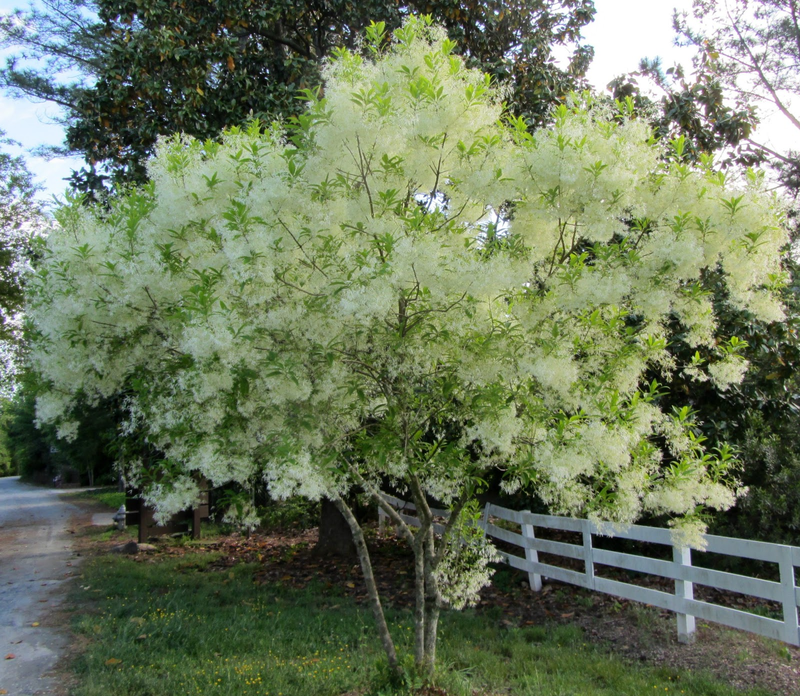 Whether you want to bring shade to your yard with a tall oak …make a statement with a dramatic Dovetree or contorted Filbert…cover an arbor in coral honeysuckle…line your driveway with ethereal muhly grass…or add more pollinator plants to your garden, our tree sale has got you covered. Your decision to purchase from Trees Atlanta affects more than just the health and beauty of your property; it also makes a contribution to one of your favorite local non-profits, as well as to the entire Atlanta community. All proceeds benefit our neighborhood tree planting projects, helping Trees Atlanta volunteers plant about 2,000 trees each year all around metro Atlanta. We know you can shop anywhere, so we thank you for choosing to shop with us. We’ll see you October 12th. 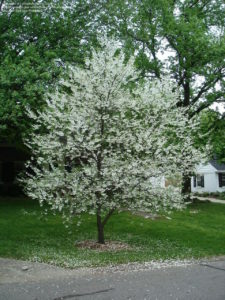 A complete list of trees and plants for sale are available on www.treesatlanta.org. 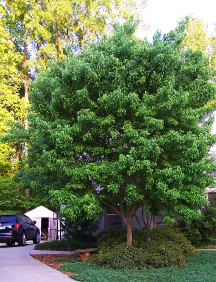 If you want a big tree but have a small car, Trees Atlanta can provide delivery, as well as planting assistance, within a limited area for a small fee! 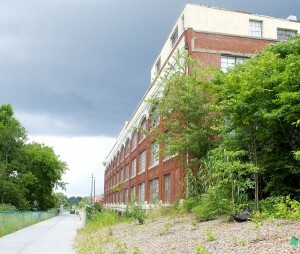 The Atlanta BeltLine Arboretum (ABA) is an ever-changing, dynamic natural space that offers a unique glimpse into the horticultural history of the city. The Arboretum can be enjoyed in many ways, but the most fulfilling experience is provided by the Atlanta BeltLine Arboretum Walking Tour, guided by trained Trees Atlanta Docents. Over time, the ABA will evolve into a 22-mile long horticultural collection. This one-of-a-kind linear expanse provides neighborhood connectivity along the Atlanta BeltLine, while showcasing unique natural characteristics within each community. Neighborhoods near the Arboretum will be identifiable by the surrounding trees, and visitors will be able to develop a greater appreciation for the value of trees in an urban environment. The exact number of trees planted will depend on space available, but the conceptual plan proposes several thousand trees. The Arboretum will be built over the next two decades. Enjoy fresh air, new city views, fascinating Atlanta history, and every changing season of horticultural interest. 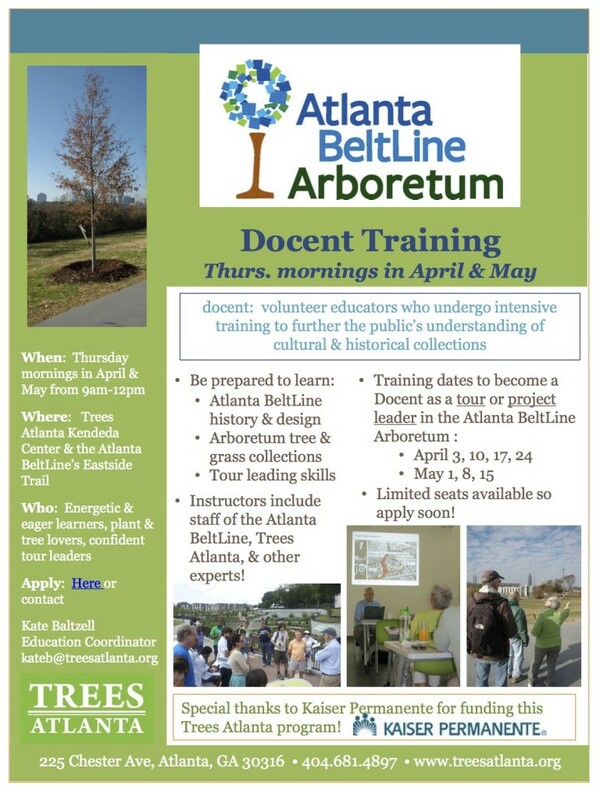 Come walk the Atlanta BeltLine with a Trees Atlanta Docent and learn firsthand about the Arboretum from a well-trained expert. 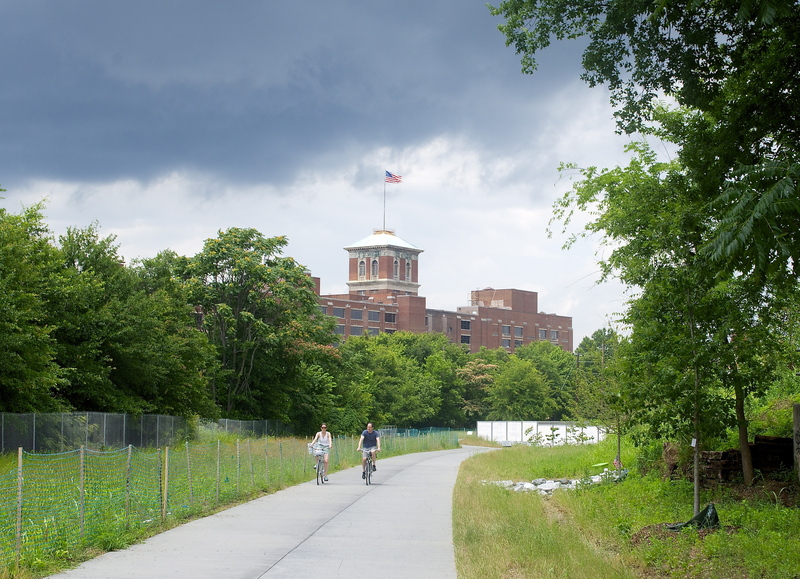 These walking tours explore the Eastside Trail with a strong focus on the horticultural collections and interesting facts about the Atlanta BeltLine. 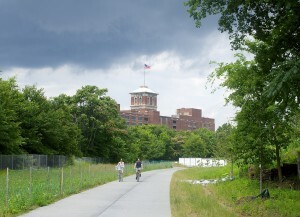 A walking tour of the Atlanta BeltLine is the best way to see the progress and be active at the same time. 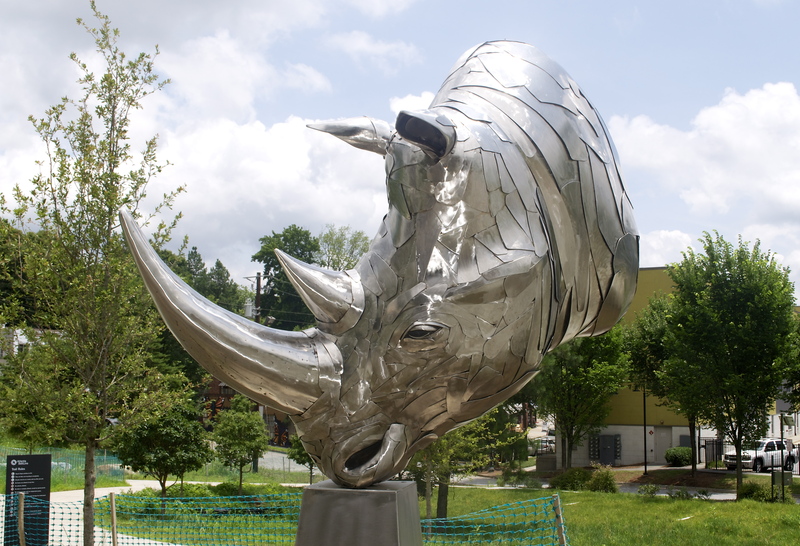 The walking tour takes approximately 90 minutes and begins from an easily accessible trailhead in the Inman Park neighborhood at 9:00 A.M. on Fridays and Saturdays. Each docent prepares their own unique talking points to spotlight the native trees, architectural interests, key historical stories, and much more. Be sure to take advantage of this free walking tour, which is offered year round so you can experience every season of the Atlanta BeltLine Arboretum with an expert docent. Click here to see a video about the Arboretum walking tour, courtesy of Atlanta Channel 26. Registration for the following month opens at 9:00 A.M. on the 20th of each current month. Click here to register online. If you have questions or want to learn about special group accommodations, contact Trees Atlanta Education Coordinator Kate Baltzell at kateb@treesatlanta.org. UPDATE: Come meet Trees Atlanta Education Coordinator Kate Baltzell who will be a special guest at the next monthly general meeting of the VHCA Board of Directors. Kate will be on hand to talk about the Arboretum walking tours and other fun stuff happening at Trees Atlanta. The meeting will be held Monday August 12 at 7 PM at the public library on Ponce. Looking for trees and plants to add beauty and shade to your yard? You won’t find a better deal than at the 13th Annual Trees Atlanta Tree Sale & Festival. The local non-profit has added more than 88,000 trees to metro Atlanta since its inception in 1985, and each October, Trees Atlanta has a sale that offers more than 1,000 plants – including 200 species of trees, shrubs, native perennials, and tree-friendly vines – for purchase by the public. All proceeds benefit weekly neighborhood tree planting projects, helping Trees Atlanta volunteers plant approximately 2,000 trees each year all around metro Atlanta. The sale, sponsored by Turner Broadcasting System, Inc., will take place at the Trees Atlanta Kendeda Center, located at 225 Chester Avenue, Atlanta, GA 30316 on Saturday, October 13th, 2012 from 8 a.m. to 2 p.m. Trees Atlanta donors of $500 or more are invited to attend a preview shopping night the evening before the sale. The Trees Atlanta Tree Sale gives plant lovers a chance to talk with experts about why each tree is unique, so that making the decision on which tree to buy becomes easy and enjoyable, for both the avid planter and the first-time buyer. Shoppers will find oaks, ginkgos, hickories, hollies, dogwoods, redbuds, azaleas, hydrangeas, blueberries, and many more species and varieties, including selections that attract wildlife and pollinators such as birds, butterflies, and bees. 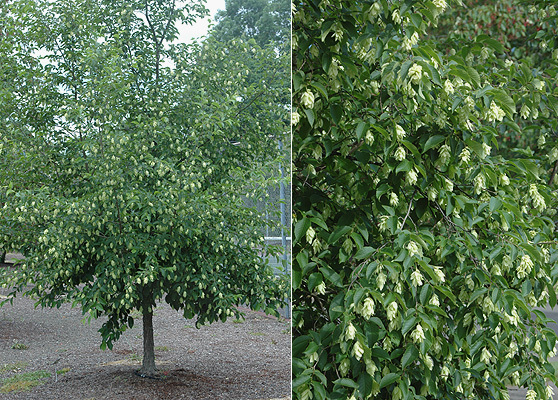 One variety that is making its first appearance at the tree sale this year is Sheri’s Cloud blackgum, which is a variegated blackgum that was discovered in Arkansas. Another great plant that is always very popular is the paw paw. It’s a small tree with beautiful leaves and delicious fruit. Also available will be Devil’s Walking Stick, which has the largest leaves of any native tree (they’re compound and can be up to 5 feet long!). And if you’re looking for beautiful vines for a trellis or fence, we’ll have several great native options like coral honeysuckle, passion vine, native wisteria, and trumpetcreeper. In addition to purchasing trees and plants, visitors are invited to spend time at the Trees Atlanta Kendeda Center by enjoying the festival component. There will be features such as planting and pruning demonstrations, live music, a small sheep petting zoo, a dynamic speaker, partner booths, kid’s crafts, raffles, and food trucks. There will also be opportunities to learn about the components of Trees Atlanta’s Platinum LEED-certified headquarters. A complete list of trees and plants for sale will be available on www.treesatlanta.org. And if a shopper wants a big tree but has a small car, Trees Atlanta can provide delivery, as well as planting assistance, within a limited area for a small fee. 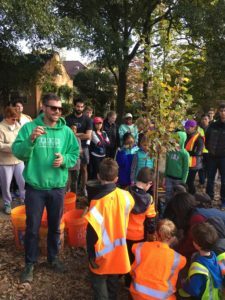 Go tree shopping on October 13th with Trees Atlanta!